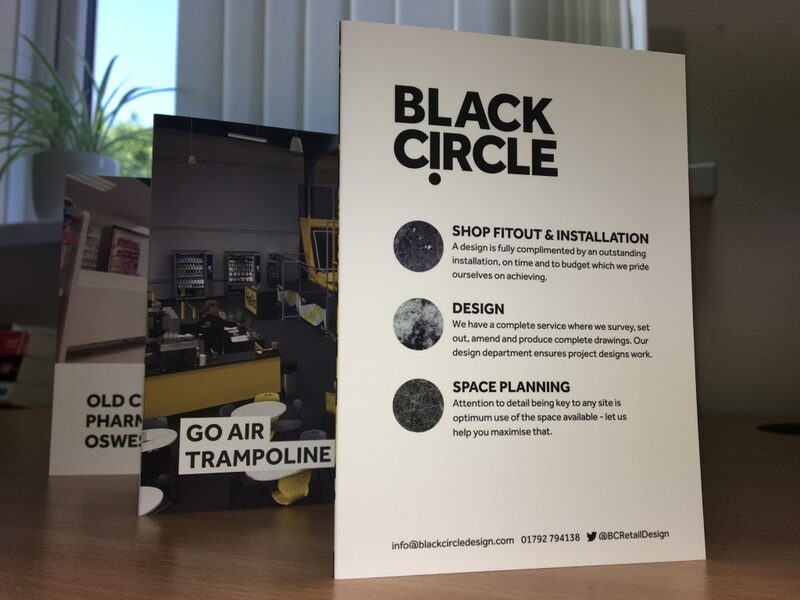 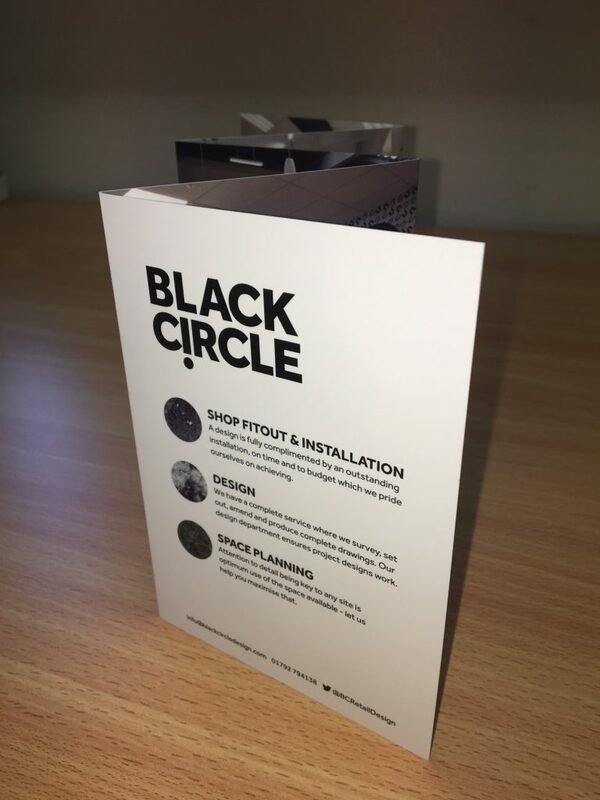 A great quality brochure for Black Circle! 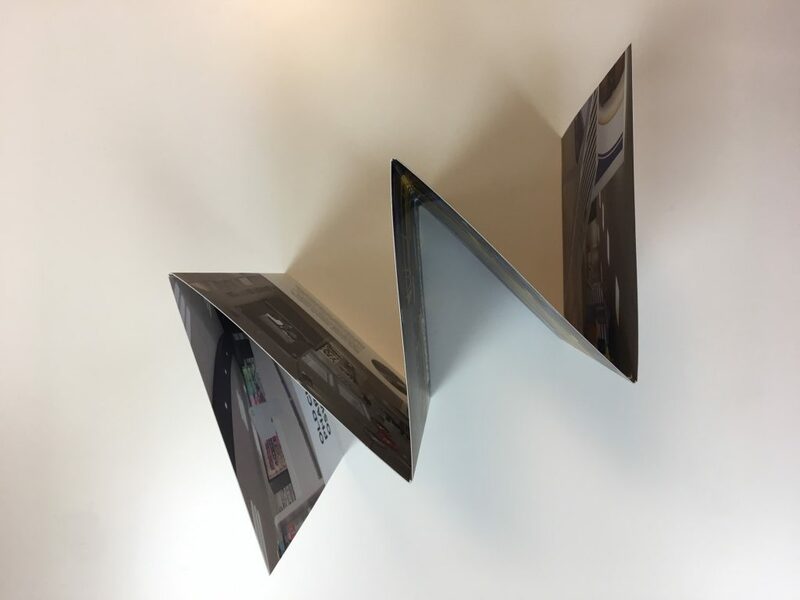 This is a 10 page, concertina folded brochure. 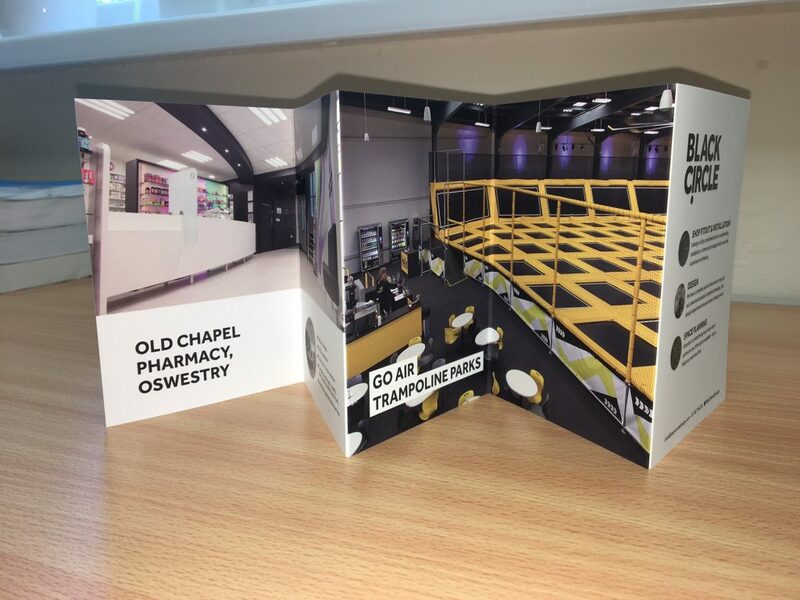 It has a soft touch ‘velvely’ lamination all over, with a spot gloss on the cover logos! 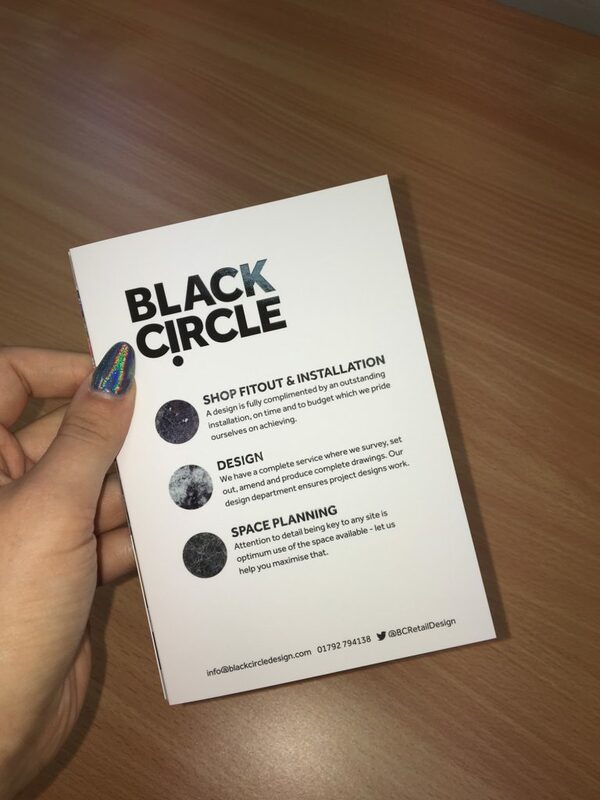 Clean, simple design to make it pop!